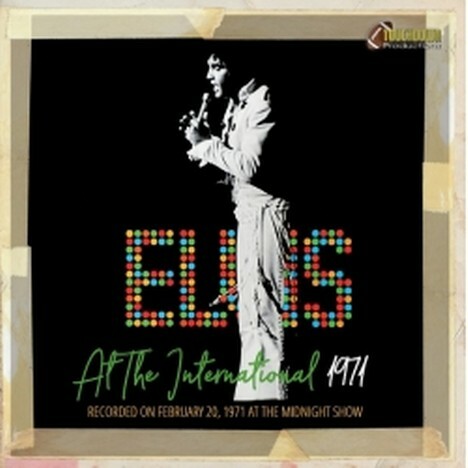 Touchdown proudly presents another - by now - totally unreleased/unheard show from the January/ February engagement 1971, recorded on the midnight show on February 20, 1971. The tracklisting is quite brilliant and so is Elvis. We worked hard to improve the soundquality and hope that you'll enjoy the result as much as we do. As usual the CD is accompanied by a full-color 16 page booklet with lots of rare photos and informations on the event itself. That's Allright Mama -  I Got A Woman -  Elvis Welcomes The Audience -  Love Me -  Mystery Train -  Sweet Caroline -  You've Lost That Lovin' Feelin' -  Polk Salad Annie -  Something -  Johnny B Goode -  How Great Thou Art -  Don't Be Cruel -  Heartbreak Hotel -  It's Now Or Never -  Bridge Over Troubled Water -  Blue Suede Shoes -  Lawdy Miss Clawdy -  Hound Dog -  Suspicious Minds -  Introductions -  I Just Can't Help Believin' -  Elvis Havin' Fun -  Just Pretend -  Snowbird (incomplete recording) -  Help Me Make It Through The Night (incomplete recording] -  One Night -  The Impossible DreamTouchdown proudly presents another - by now - totally unreleased/unheard show from the January/ February engagement 1971, recorded on the midnight show on February 20, 1971. The tracklisting is quite brilliant and so is Elvis. We worked hard to improve the soundquality and hope that you'll enjoy the result as much as we do. As usual the CD is accompanied by a full-color 16 page booklet with lots of rare photos and informations on the event itself.